Common problems such as back pain are often treated in our Chesapeake chiropractic office, but chiropractic care goes far beyond these types of health issues! Postural muscles are constantly working to keep your body upright. As your posture distorts over time, your weight distribution becomes uneven. This results in pain as the other muscles in your body work overtime to compensate for uneven weight distribution. The reduction of postural distortion provided by the NUCCA procedure decreases the stress on all areas of the body and allows for the relief of pain and proper healing of the back and spine. About 50% of all working Americans will experience some back pain each year. One of the most common conditions that emergency physicians see each year in the United States is back pain. 80% of all people suffer from back pain at some point in their lives. Back pain is the third and most expensive disorder in the United States. Second only to heart disease and cancer. Back pain is a problem that affects many people in the Hampton Roads. 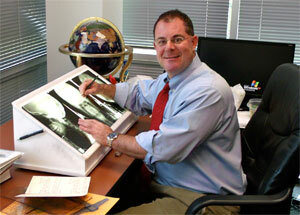 Our doctors at Precision Spinal Care are well-known for helping people with back pain. It is our goal to help each patient reach their individual healthcare goals by unleashing their optimum health and healing potential naturally, without the use of harmful drugs or surgery. A common cause of headaches is from spinal bones in the neck that aren’t supporting the head properly. You might not notice your reduced ability to turn your head. But these vertebral subluxation complexes affect nerves, muscles and even the blood supply to your head. Our thorough examination detects vertebral subluxation complex patterns that could be causing your headaches. If vertebral subluxation complexes are present, you’re likely to benefit from chiropractic care. True health is optimum physical, mental and social well-being and not merely the absence of disease or infirmity. Drinking more water, eating nutritious foods, regular exercise and virtually every other healthy habit produces even bigger dividends when you have a properly working nervous system. Although everyone wants to feel good, your care should not be based on whether you have pain or other symptoms. Vertebral subluxation complexes may exist without obvious symptoms- just like dental cavities, high blood pressure or heart disease. Contact Precision Spinal Care now to schedule an appointment with your Chesapeake chiropractic team.